The bus loading/unloading zone is located directly in front of the H.H. Bennett Studio on Broadway. This zone is available to all groups using bus transportation. Reservations for school group tours are accepted at the H.H. Bennett Studio year-round. Average tour length is 45-60 minutes. … Brown bag lunch facilities can be available, depending on size of group. Call 608-253-3523 or send an email to reserve a date and time. Average tour length is 75 minutes. Many convenient eating establishments are within easy walking distance. Brown bag lunch facilities are available at the studio. H.H. Bennett field trips enable your students to meet Wisconsin Model Academic Standards for Social Studies and Science Instruction as provided by the Wisconsin Department of Public Instruction. See more information in our printable curriculum document, below.  Plan for an entire day out by combining the world famous Wisconsin Dells Boat tour to your visit to H.H. Bennett Studio. The Upper Dells Boat Tour traverses the beautiful Wisconsin River over a two-hour and 15-minute trip. Your group will view the sandstone cliffs, unique rock formations and explore the shoreline on short-landing walks at Stand Rock and Witches Gulch. Sack lunches can be eaten on the boat. After the boat tour, your group will travel to H.H. Bennett Studio for a 60 minute guided tour of the museum and historic photography studio. Please contact Stephanie Gunderson by calling (608) 254-8555 or emailing groups@dellsboats.com to take advantage of this incentive.